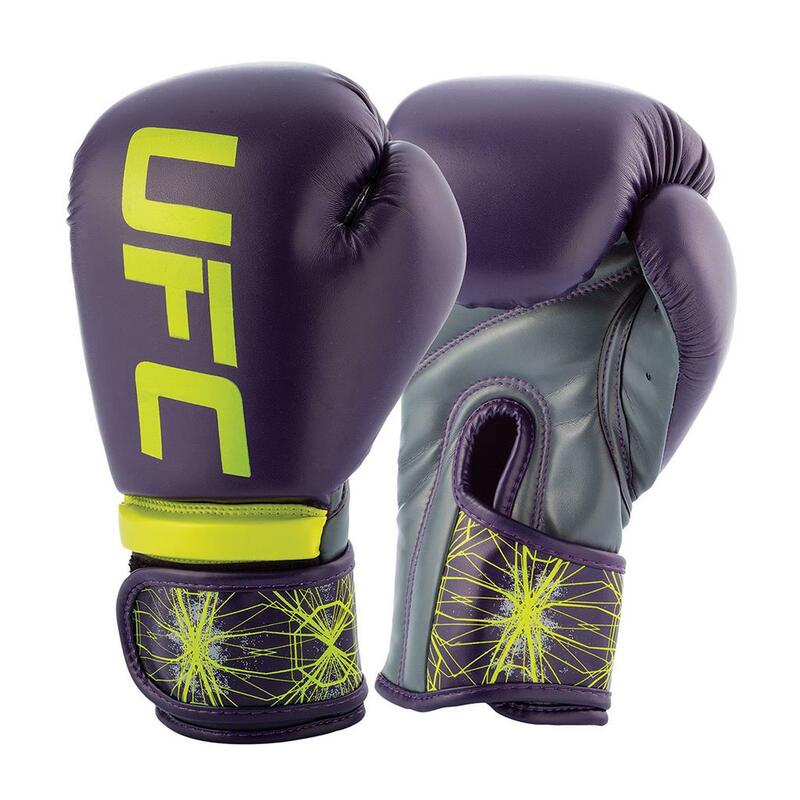 Specially designed to match the apparel of "The Ultimate Fighter 20" female fighters who wore the gloves in the show, the UFC Women's TUF Boxing Gloves are made specifically for a womans unique hand shape. With a longer, narrower construction, padded grip bars, attached thumbs, and hook-and-loop wrist wraps, these gloves are a cut-above. Constructed of soft, durable polyurethane and high-impact foam for long-lasting comfort.